Israel’s class action law allows any individual, as well as qualified non-profit organisations and government commissions, to file a claim on behalf of a group of people who may not have requested any such claim, and who may not even be aware of the fact that a claim is being managed on their behalf. Should the class action be approved, its result (if settled or dismissed) is likely to impair the rights of those claimants in whose name it is brought. Class actions may also constitute an injury to the procedural rights of defendants, who are forced to deal with claims which, whether justified or not, may be of unusual scope and risk. The Law’s innovations include an expansive set of qualified causes of action, a unified framework for class actions including detailed guidelines and regulations, legal standing for certain government entities and third-sector organisations as parties and as amici curiae, guidelines for ‘opt-in’ versus ‘opt-out’ actions, comprehensive guidelines for the appointment of representative counsel as well as for court approval of settlements and fees, a substantial degree of flexibility with regards to damages, causality and remedies, a public record of motions for approval of class actions, and the establishment of a fund to assist class actions that promote the public interest. The Law is the exclusive procedural framework for any group action in Israel. No action may be brought on behalf of a group of individuals without their express power of attorney, unless the claim falls within the ambit of the Law. A class action will only be recognised if it falls within a statutory list of enumerated causes; it should be noted, however, that as a rule, these causes are broadly worded. Some of the causes that may be of interest to international corporations include: claims against manufacturers, distributors and service providers including product liability claims and various claims against internet platform providers; claims against insurance providers and agents; antitrust claims, including ‘follow-ons’; claims related to corporate securities or trading platforms; claims related to environmental damages or nuisances; and claims related to the ‘anti-spam’ amendment to the Communications Law (Telecommunications and Broadcasts) 1982.
there are reasonable grounds to believe that the class members’ cause will be represented and managed in good faith. Class actions do not have a special statute of limitations. In nearly all circumstances relevant to this note, the period provided by Israel’s general statute of limitations applies, which is seven years from the time when the grounds for the claim arose, or would have become known to a reasonably diligent injured party. The Law includes a saving clause such that claims whose statute of limitations would otherwise have run in the course of a class action proceeding will survive for an additional year from the date that a motion for approval was denied or dismissed, or from the date that the claimant was removed from the class. The default mechanism for a class action is ‘opt out’, meaning that upon approval of a motion for a class action, all individuals meeting the definition of the group as approved will be judged as members of the group and bound by the outcome of the proceedings, unless they file an objection within the required time period (the default period is 45 days from publication of the decision to approve the motion). In special circumstances, the court may, in its discretion, rule that the action be conducted on an ‘opt-in’ basis, which means that the proceeding will relate only to those class members who request to be included. In either case, the procedural and substantive provisions of the Law will apply. The class must be defined, initially, by the party bringing the motion for approval. In the course of hearing the motion, however, the court has substantial discretion to alter or redefine the class, or create sub-classes and appoint representative plaintiffs and attorneys for each sub-class. Ultimately, the final definition of the class will be set forth in the court’s ruling to approve the class action. There is nothing in the Law to exclude foreign claimants from being included in a class; however, several cross-border jurisdiction questions may arise in cases with foreign elements, as will be explained in Section IV. The Class Actions Law established a seven-year pilot period for a dedicated government fund to provide financial assistance for representative plaintiffs whose causes of action are of public or social importance, and the lifetime of that fund has been continually renewed each year since 2013 by subsequent orders of the Minister of Justice. The fund’s nine-member management committee includes representatives from the Attorney General’s office and several government commissions concerned with matters related to class actions (such as the Commission for Consumer Protection, the Antitrust Commission, the Environment Ministry, and so forth). The management committee holds quarterly meetings in which it examines, approves, and follows up on funding requests, based on each claim’s degree of public importance and its potential to promote the public interest, and the committee may also take into account any particularly onerous financial obstacles that a claim may face. Assistance may be offered at any stage of the motion for approval, in the course of the claim itself or any process of appeal and, in specially warranted circumstances, even before the initial motion is filed. To the degree that the sponsored motion or action is successful (whether upon judgment or settlement), proceeds from the award corresponding to the monies received are recycled into the fund. In its annual report for 2016, the fund reported that 1,758,440 Israeli new shekels had been approved for 48 funding requests, for an average of approximately US$10,000 per request. One defining aspect of the Law is the requirement that a motion for the approval of a class action may be granted only once the court is satisfied that there is a ‘reasonable chance’ of the common question of fact or law being decided in favour of the class. The ‘reasonable chance’ criterion for approving a class action in Israel essentially forces the court to have some initial regard for the merits, even as it considers what is otherwise (and ostensibly remains) a procedural motion.14 The representative plaintiff must provide a preliminary evidentiary basis that sufficiently demonstrates a reasonable chance of success on the merits.15 Although phrased in terms of a procedural question, this essentially substantive requirement has created, de facto, a bifurcated process, in which a preliminary approval often serves as an indication of the court’s leaning as it progresses to the merits. Experience has shown that the parties to litigation invest considerable resources in the ‘preliminary motion’ stage, which may include discovery, testimony and cross-examination, and may last several years in complex cases. The Supreme Court has directly responded to the bifurcation dilemma in The Phoenix v. Amosi,16 in which three insurance companies (as defendants joined into a single class action) contended that their alleged underpayment of personal accident insurance benefits was justified by the rules of contractual construction applicable to similarly phrased policy wordings. The court held that the very fact that the defendants had placed reliance upon an inferred reference not mentioned in the plain language of the policy wordings was sufficient, in and of itself, to determine that the plaintiffs’ interpretation of the policy had a ‘reasonable chance’ of success in the claim. The court established that the guiding rationale of the ‘reasonable chance’ requirement was to strike a balance between protection of class action defendants from the collateral damage caused by spurious claims on the one hand, and the public interest of encouraging worthy class actions on the other hand. Upon the court issuing approval for a class action, the representative plaintiff’s proposed statement of claims takes effect as the claim of the plaintiff class, and the main proceeding continues in accordance with the normal rules of civil procedure. All claims available in a normal proceeding remain available to both sides at this stage, unless and to the extent that the court, in its discretion, orders amendments to the statement of claims. The Law does not entirely entrust the public interest to the self-appointed ‘class agents’. It gives special procedural standing to the Attorney General’s office, government commissions, non-profit organisations, and others. In every motion for approval of a class action, the representative plaintiff must send a notice, including the full motion and proposed statement of claims, to the government commission associated with that particular type of class action.20 The Attorney General, as well as the relevant government commission, must also receive every public notice related to the class action, including interim court decisions as well as any joint motion for the approval of a settlement. Qualified non-profit organisations and government commissions (as well as any individual class member) may, with the court’s permission, participate in hearings to the extent the court deems such participation required for the sake of fairness, efficiency, or the defence of any of the class members’ interests, and the court may, in its discretion, award a fee to a non-profit organisation in light of its contribution to the hearings. In addition to the Attorney General and all of the aforementioned persons, ‘any person acting for the benefit of the class members’ interests’ may submit a reasoned objection to the proposed settlement of a class action proceeding, including an objection to the costs and fees proposed for the ‘class agents’ thereby, which objection may not be withdrawn without court approval, and in light of which the court may award a fee, commensurate to the extent to which the objection served to promote the public interest. There are no jury trials in the Israeli legal system. Class actions are typically heard before a single judge, who will determine all questions of fact and law regarding the motion for approval, the action, and the extent and nature of damages and other remedies. Subsequently, the Law anchored and built upon the case law which had preceded it. 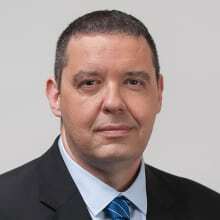 Punitive damages are rarely granted by Israeli courts, and, with the exception of certain class actions regarding the rights of people with disabilities, the Law specifically disallows punitive or exemplary damages in a class action, rather requiring the class members to prove that they suffered actual ‘injury’. As in the previous case law, however, flexibility lies in the causation, scope and proof of injury, as well as the variety of remedies available. The Law further recognises, as did the Supreme Court in Tenuva (I), that the award of traditional ‘damages’ to atomised class members is not always a feasible remedy (especially, as in the Tenuva case, where the injured members were consumers of household items, who are not readily identifiable and who do not generally maintain proofs of their purchase or consumption). If a court is of the opinion that class members cannot be individually identified and compensated without unreasonable cost or difficulty, the Law authorises the court to grant damages, or any other remedy, for the benefit of either the group as a whole or the general public. Any settlement of a class action proceeding requires court approval. A report of the claim and the proposed settlement, including certain key parameters, must be publicised and sent to the Attorney General as well as to the public commission charged with the claim’s designated subject area,36 and any other person whom the court deems appropriate. A proposed settlement must include, inter alia, a definition of the class, a summary of the claim and the proposed settlement, the gap between the amount of the claim and the amount of the settlement, the stage of the proceedings and an evaluation of the benefits and risks of their continuation, and the issues and remedies regarding which the proposed settlement would comprise an estoppel. Class members who wish to exit from the proposed settlement may request leave from the court to do so. The Law mandates that a court may approve a proposed settlement only after it is satisfied that the settlement is fair, adequate and reasonable, and that concluding the proceedings by way of settlement is the most equitable and efficient manner for resolving the issue under the circumstances. In the case of a settlement in the ‘motion for approval’ phase, the court must also be satisfied that the claim would have met all of the procedural requirements for a class action, including the quasi-substantive requirement of a ‘reasonable chance of success’. Furthermore, the court may not ordinarily approve a settlement until it has first received the expert opinion of an ‘examiner’ appointed as an officer of the court, who is authorised to summon the parties for a hearing or suggest variations to the proposed settlement. The court may provide specific instructions for supervision of the settlement’s execution, and may also predicate the payment of fees and costs to the representative plaintiff and counsel on the settlement’s actual execution (in full or in part). It is common for the Attorney General to express a position (‘objection’ or ‘no objection’) regarding the proposed settlement, and there seems to be a recent trend of the Attorney General responding with comments to the proposed settlement even when filing a ‘no objection’ response.38 The Attorney General has typically filed objections to around 15 per cent of proposed settlements, and among such cases, the court’s tendency to reject the settlement or approve the settlement with substantial changes is correspondingly greater.39 If approval of a settlement is withheld or cancelled, nothing said or determined in the course of the settlement approval proceeding may serve as evidence in any civil proceeding. The Law does not provide any territorial limitations; as a rule, cross-border issues will be a matter of Israel’s general private international law. Thus, a foreign corporation may be the respondent in a motion for approval of a class action (and a defendant in the action itself), subject to procedural rules regulating the lawful service to foreign defendants. A class may also include foreign members, thereby binding such members to the result of the proceedings, although a preponderance of foreign connecting factors may guide the court in deciding whether to allow the service of proceedings abroad, or whether it will relinquish its jurisdiction under the forum non conveniens doctrine. An Israeli court gains jurisdiction over a foreign defendant in one of three ways: either by direct service of claims to the defendant (or an officer of the defendant) within the territory of Israel, by service to the defendant abroad upon leave from an Israeli court (or a registrar who is a judge) under Regulation 500,40 or by service to the defendant’s ‘authorised agent’ in Israel under Regulation 482.41 From a plaintiff’s perspective, the advantages of Regulation 482 are obvious: it is a more efficient procedure that does not necessitate a preliminary hearing, and is not subject to judicial discretion. The barrier lies in the question of who is deemed to be an authorised agent of the defendant. The case law has established a fact-dependent ‘intensiveness of commercial relationship’ test, which looks at a variety of objective factors to determine whether the agent in fact reports to and does business on behalf of the principal.42 It is settled law that an ‘intensive relationship’ with one foreign company does not necessarily constitute a relationship with another group affiliate of that company,43 and that the mere fact of an exclusive distributorship, unless supported by evidence of additional factors, does not in and of itself constitute an authorised agency.44 Similarly, the mere fact of being an affiliate or member of the foreign company’s group does not necessarily constitute an authorised agency, to the extent that the affiliate operates as a bona fide supplier of services to the parent group, and especially if its lack of authorisation is adequately documented in representations made to the public.45 In practice, the question is highly dependent on the facts of the case. Cross-border jurisdiction issues may be highly relevant for multinational corporations facing follow-on class actions in Israel for breaches of competition law. These issues were the focus of the Optronic/Sharp case, a follow-on action in Israel against foreign defendants regarding an alleged large-scale international cartel of screen manufacturers that claimed a domestic 277 million Israeli new shekels in damages.49 The plaintiffs sought to introduce the ‘effects doctrine’ to Israel in order to justify extraterritorial application of Israel’s Restricted Trade Practices Law, 1988.50 The registrar refused the defendants’ motion to annul the service of proceedings, holding that the sale of the cartel-related products in Israel, as well as the deleterious effect on competition in Israel under the ‘effects doctrine’, were sufficient grounds to allow service of proceedings to foreign defendants alleged to have participated in a cartel. Israel’s case law in class action claims continues to be proactive and dynamic. As mentioned above, a series of successful class actions involving internet platform providers further emphasises the fact that vigilant observance of local laws, regulations and standards should be of concern for all multinational corporations operating in the Israeli market. Foreign companies should also be attentive to the details of the degree and nature of their relationship with local entities (whether group affiliates or not) in managing the risk of litigation. The exact extent of foreign companies’ exposure is subject to the dynamics of the case law’s development, including the Optronic/Sharp case mentioned above regarding follow-on actions in competition law. These developments and others will continue to be of great concern to practitioners and multinational corporations alike. 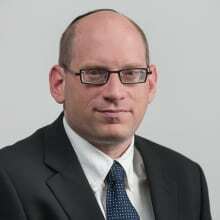 1 Hagai Doron and Uriel Prinz are partners at S Horowitz & Co. The authors express their gratitude to David Silber for his assistance in preparing this chapter. This chapter is accurate as of May 2017. 2 The Class Actions Law, 2006, 2054 S.H. 264 (12 March 2006). 3 Introduction, commentary to the Class Actions Bill, 2006, 234 H.Ch. 256, 257 (26 January 2006). Regarding the Law as substantial public policy, rather than a purely procedural statute, see (Supreme Court Justice) Esther Chayut, ‘Class Actions as a Tool for Public Civil Enforcement’ (in Hebrew), 19 Mishpat Va’asakim 935, 942–943 (August 2016). 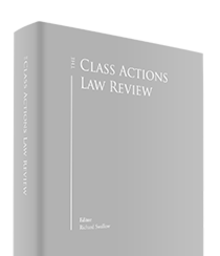 4 Keren Vinshal-Margal and Alon Kalament, ‘The Class Actions Law in Practice in Israel – an Empirical Perspective’ (in Hebrew), 45 Mishpatim 709,725 (2016) and Asaf Fink, ‘The Seventh Annual Conference for Class Actions 3 January 2017, Research Summary for 2017’ (in Hebrew), available at http://knowit.org.il/Uploads/Documents/gili.pdf (accessed 3 April 2017). 5 Ibid, p. 727 and ibid. These proportions have remained relatively stable over the past several years. 6 Based on statistics reported by Fink, footnote 4. 7 Cls. Act. (Central) 30028-04-11 Yitzhaki v. Migdal Insurance Company et al (published Nevo, 21 November 2016). 8 Ibid, at  to . 9 The Class Actions Law (Amendment No. 10), 2016, 2567 S.H. 1079 (27 July 2016) (Amendment 10). 10 Vinshal-Margal and Kalament, footnote 4, p. 730. 12 Civ.App. 8037/06 Barzilai v. Prinir (Hadas 1987) Ltd (published Nevo, 4 September 2014) (Prinir (I), the majority opinion). In her refusal to grant Prinir an ‘additional hearing’ [Add.Civ.Hrg. 5406/15 Prinir (Hadas 1987) Ltd v. Barzilai (published Nevo, 25 August 2015), Prinir (II)], Chief Justice Na’or noted that while the concurring opinion in Prinir (I) had expressed the reservation that allowing such claims would be tantamount to promoting an ‘industry’ of lawyering cases of questionable value, since the allegation that counsel had ‘recruited’ plaintiffs in bad faith had not been proved in the lower court, an additional hearing to resolve issues argued in obiter was not justified. Nonetheless, the Prinir (I) majority obiter has recently been cited favourably in the District Court of the Central District in Cls. Act. (Central) 5286-08-07 Freibrun v. Boulus Gad Tourism and Hotels Ltd (published Nevo, 31 March 2017). 13 This provision of the Law is frequently cited by courts when taking a liberal position on the question of standing; for a recent district court decision ordering the actual appointment of an alternative plaintiff, see Freibrun, op cit. 14 Lv.Civ.App. 729/04 State of Israel v. Kav Machshavah (published Nevo, 26 April 2010). 15 Lv.Admin.App. 3284/10 Municipality of Tel Aviv v. Ressler (published Nevo, 3 December 2012). 16 Lv.Civ.App. 2128/09 The Phoenix Insurance Company v. Amosi (published Nevo, 5 July 2012). 17 Ibid, at  to  (for the entire paragraph). 18 According to figures provided by Vinshal-Margal and Kalament (p. 738) and Fink, footnote 4. 19 Vinshal-Margal and Kalament, footnote 4, p. 741. 20 As noted above, a class action must fall within one of the enumerated categories of causes; the Class Action Regulations, 2010 specify the commission which must receive notice of each class action, according to type. For example, the Commissioner for Consumer Protection must receive a copy of each class action related to consumer claims; the Antitrust Commissioner must receive a copy of each class action related to the Restricted Trade Practices Law, etc. 21 Section 4(a)(3) of the Law, footnote 2, as amended in 2008. 22 See Chayut, footnote 3; see also the Israel Consumer Council website (English language) at www.consumers.org.il/category/en-consumers. 23 Generally, a district court’s approval or refusal to approve a class action may be appealed by leave granted either by the Supreme Court, or by the district court itself if leave was granted concurrently with the decision. If the district court goes on to hear the action and renders a judgment, there is a right of appeal to the Supreme Court. Cases of smaller aggregate sums are heard by a magistrate court, with parallel rules of appeal applying to the district court of that district. 24 Vinshal-Margal and Kalament, footnote 4, p. 756. 25 Keren Vinshal-Margal, ‘Class Actions in Israel: An Empirical Perspective’ (in Hebrew), unpublished manuscript, presented at the Hebrew University of Jerusalem on 9 March 2015, p. 35. 26 Section 1 of the Class Actions Law, footnote 2. 27 Chayut, footnote 3, p. 948. 28 Civ.App. 1338/97 Tenuva Central Coop for the Mktg of Agr Prod In Israel Ltd v. Rabi, PD 57(4) 673, 2003 (Tenuva (I)). 30 These provisions reflect the state of Israeli jurisprudence prior to the Law’s enactment, which reflected the doctrine of ‘fluid class recovery’; see the Supreme Court of Israel decision Civ. App. 10085/08 Tenuva Central Coop for the Mktg of Agr Prod In Israel Ltd v. estate of Rabi (deceased) (published Nevo, 4 December 2011): (Tenuva (II)), at  to , citing especially State of California v. Levi Strauss & Co., 41 Cal. 3d 460, 472-473 (Cal., 1986). 31 Civ. App. 10262/05 Aviv Legal Services Ltd v. Bank Hapoalim Ltd (published Nevo, 11 December 2008) at . 32 The Supreme Court in Tenuva (II) (footnote 30) reduced the quantum from approximately US$16 million awarded in the District Court judgment, ruling that non-monetary damages for a breach of autonomy be awarded based on a statistically modelled quantum of consumers who had experienced, subjectively, actual feelings of disgust, as opposed to the abrogation of their right to autonomously make an informed decision in the abstract. This distinction was subsequently affirmed in Civ. App. 4333/11 Solomon v. Guri Importers and Distributors (12 March 2014) and Prinir (I) (footnote 12, 4 September 2014). The Supreme Court also rejected the District Court’s allocation of 22 per cent of the global damages to price rollbacks, ruling that the proceeds be distributed between food and nutrition research (44.33 per cent) and the free distribution of dairy products to the needy (55.66 per cent). 33 Tenuva (II), footnote 30, at  and . 34 Cls. Act. (T.A.) 22236-07-11 Schreier v. Automated Banking Services (published Nevo, 16 September 2014); Chayut, footnote 3, p. 951. 35 Amendment 10, footnote 9; Sections 20(d) and 27A of the amended Law. The same applies, mutatis mutandis, to any similar condition in a court-approved settlement (Section 19(a2) of the amended Law). 36 See footnote 20, above. 37 Amendment 10, footnote 9; the position adopted by the Amendment is consonant with previous academic critique of Israeli and US law: Eran B. Taussig, ‘Opposition Motions to Class Action Settlements – Alya V’Kotz Ba’ (in Hebrew), 53 Hapraklit 393, 441-451 (Dec. 2014). 38 Vinshal-Margal and Kalament (pp. 754–755) and Fink, footnote 4. 39 Vinshal-Margal and Kalament, op cit. 40 Permission to serve a statement of claims outside of the territory of Israel is governed by Regulations 500-503A of the Civil Procedure Regulations, 1984, and is a matter of judicial discretion which is also conditioned upon the claim falling within a closed list of links to Israel based on the cause of action. Permission is granted in an ex parte proceeding, which may subsequently be challenged by the defendant without prejudice to any defence pertaining to lack of jurisdiction. 41 Service to an ‘authorised agent’ in Israel is governed by Regulation 482 of the Civil Procedure Regulations, 1984, and the case law’s expansive interpretation of that term. Either of the purported ‘principal’ or ‘agent’ may challenge the validity of such service without prejudice to any defence pertaining to lack of jurisdiction. 42 Lv.Civ.App. 39/89 General Electric Corp v. Migdal Insurance Company Ltd, PD 42(4) 762, 768 (1989) (GE); Lv.Civ.App. 2652/94 Tendler v. Le Club Méditerranée (Israel) Ltd PDE 94(3) 409 (1994); Lv.Civ.App. 11822/05 Philip Morris USA Inc v. Al-Roey (published Nevo, 8 May 2006). 43 Cls. Act. (T.A.) 1634-05-11 Pinchevsky v. Sony Corporation (published Nevo, 4 April 2013). 44 GE, footnote 42, at ; Misc.Civ.Motion (T.A.) 8620/05 Shitrit v Sharp Corporation (published Nevo, 26 December 2006); Misc.Civ.Motion (J-m) 6158/09 Rubin v. Elchiani (published Nevo, 27 April 2009) at . 45 Cls. Act. (T.A.) 19529-06-14 Hota v. Booking.com BV (published Nevo, 19 July 2015) (Booking (I)). 46 Booking (I), ibid, and Cls. Act. (T.A.) 19529-06-14 Hota v. Booking.com BV (published Nevo, 3 February 2017) (Booking (II)). 47 Civ. Case (T.A.) 30847-12-13 Ciappa v. Dadon (published Nevo, 8 June 2014); Cls. Act. (Central) 39292-04-13 Klinghoffer v. Paypal Pte Ltd (published Nevo, 21 September 2015); Cls. Act. (Central) 46065-09-14 Ben Hamu v. Facebook Inc (published Nevo, 10 June 2016); Civ. Case (T.A.) 39265-04-16 Forex Capital Markets Limited v. Dural (published Nevo, 23 November 2016); Booking (II), op cit. 48 Ibid; see also Lv.Civ.App. Alison Transport Inc v. Cosco Container Lines Co Ltd (published Nevo, 15 July 2015) at  and Civ.App. 7841/09 Palestinian Fund for Compensating Victims of Traffic Accidents v. Doe (Published Nevo, 28 November 2015) at . 49 Cls. Act. (Central) 53990-11-13 Hatzlachah Consumer Movement for an Economically Just Society v. AU Optronic Corp et al (published Nevo, 6 March 2016); on appeal: App.Reg. 57451-03-16 Hatzlachah Consumer Movement for an Economically Just Society v. AU Optronic Corp et al (published Nevo, 29 December 2016). Full disclosure: our firm successfully represented one of the foreign defendants in the proceedings. 50 This was a threshold issue in the motion for approval of the class action, owing to the Law’s exclusive reference to Israeli antitrust law in the enumerated causes allowable as class actions; as a matter of Israel’s procedural law, it is impossible to bring a follow-on antitrust claim (on behalf of a class) unless the claim arises from a violation of Israel’s Restricted Trade Practices Law. 51 It should be noted that the District Court’s decision is currently subject to leave for appeal proceedings pending before the Supreme Court. 52 Lv.Civ.App. 3973/10 Stern v. Verifone Holdings Inc (published Nevo, 2 April 2015) (Verifone), at . This Supreme Court decision cited in support of its conclusions, amongst other authorities, ‘Guidelines for Recognizing and Enforcing Foreign Judgments for Collective Redress’, International Bar Association 6 (2008); John P. Brown, ‘Seeking Recognition of Canadian Class Action Judgments in Foreign Jurisdictions: Perils and Profits’, 4(2) Canadian Class Action Rev. 220 (2008); and Currie v. Macdonald’s Restaurants of Canada Ltd, 74 O.R. (3d) 321 (Ont. C.A. 2005, Canada). 53 Verifone, op cit, at , citing the elements which have been described by American academics as ‘voice’, ‘exit’, and ‘loyalty’, based on Phillips Petroleum Co v. Shutts, 472 U.S. 797, 811-812 (U.S., 1985). 54 Verifone, op cit, at . 55 See Misc.Civ.Motion 4986/09 Merck Sharp & Dohme (Israel 1996) Ltd v. Naftali (published Nevo, 22 July 2009), in which a motion to recognise a foreign class action decision as issue estoppel was denied, on the basis of an expert legal opinion regarding the extent of that decision’s effect under the law of the forum in which it was given. 56 As mentioned above, the district court has jurisdiction over claims whose aggregate amount is 2.5 million Israeli new shekels and greater; in the magistrate courts the proposed regulation would assess court fees of 12,000 Israeli new shekels for smaller aggregate class action claims. 57 The currently proposed amounts are significantly lower than the Minister’s original proposal of 62,000 Israeli new shekels for the district courts and 50,000 Israeli new shekels for the magistrate courts; the new proposed fees fall reasonably within the range of current levels of public funding assistance.